Physics as we know from relativity equations and isotropic model with planetary model of atom is totally misleading us in the gravitoetherton soup non isotropic universe for not accounting gravity and dark energy. Standard model and HIggs mechanism can not be the our facts of nature as we have cosmological observations also along with new particle in CERN. We have no other alternative but to correct our all mistakes in relativity and quantum physics. We have to be careful in developing a atomic model without strong and weak force and be careful in giving lectures at this great moment of physics when a new physics knocking us at the door . Otherwise the money and all efforts of scientists will be wasted in CERN. Wait for a judgement by expert and DURGADAS DATTA already submitted his theories to CERN and other bodies to consider in developments of physics. Do not forget that there is no public view and scientists view in physics and the truth will prevail if we do not make another mistake in physics. We are developing physics for the universe and not our solar system. READ THE THEORIES OF DURGADAS DATTA CAREFULLY AND TRY TO WORK ON IT FOR A MATHEMATICAL MODEL. 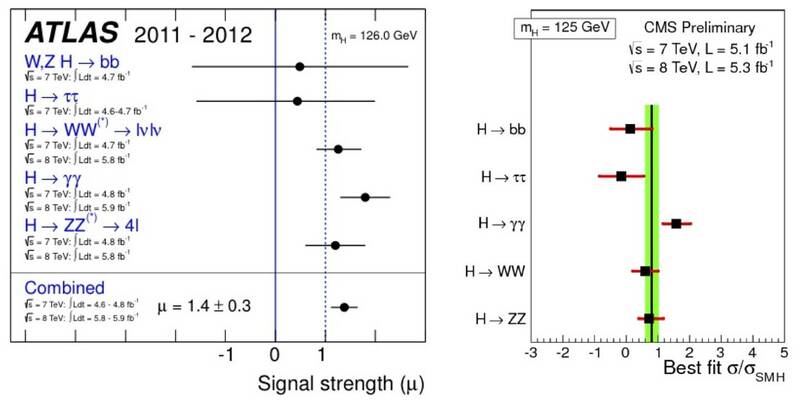 new particle is gravitoetherton ,a little modified graviton. Strong and weak force do not exist. Electromagnetism we are already familiar. What the point in scientific research when basics are not getting corrected.? Correct relativity first. This talk is very misleading. Anyone reading your slides will get the impression that your god particle is a particle (a spherical ball) but this is not true. What is observed is not a particle but wave. Matt Strassler makes this point very explicitly in his slides on the same subject. 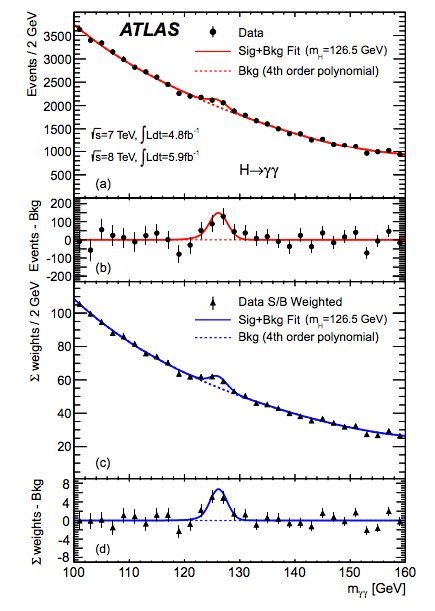 http://www.physics.rutgers.edu/~strassler/QuestHiggs.pdf He writes that not a particle but ripples in the higgs field have been discovered. He says that what physicists call particles are really ripples in corresponding fields. You mention no where in your slides this most important fact. May I ask why? Yes, we do. It’s a bit of a liberty, but if you don’t make this simplification, the talk can quickly become a quantum talk! My point is different. I’m trying to understand why physicists call waves particles. My authority on this is Matt Strassler. http://profmattstrassler.com/articles-and-posts/particle-physics-basics/fields-and-their-particles-with-math/7-particles-are-quanta/ He says explicitly that what physicists call “particle” are waves or ripples. Then why are you calling waves particles? What are these manifestations of quantum fields? They are quanta. And what are quanta? They are waves with minimum energy. They are waves, they are not fields and they are not spherical balls. Then why are physicists calling these waves particles? Why are physicists so afraid of calling waves waves? Do you have an answer for this simple question? I am just trying to understand for myself if it is true that world is made of absolutely indivisible units called particles. Standard Model cannot answer this question because as you say SM is phenomenology or a fit, it can only explain what you assume and SM is as flexible as it gets because you can add to it as many free parameters as you wish. As long as you agree with Matt Strassler that what physicists observe are waves and nothing but waves and not particles (little billiard balls), my question would be answered. Can you confirm or deny this question? By the way, a few more words from a non-physicist about learning the Standard Model. Non-physicists do not need to understand the Standard Model which is nothing more than a computational tool. There is a very good analogy to Standard Model in the history of science, it is the Ptolemaic Model. For instance, if my problem is to understand if the earth is stationary or it moves, I don’t need to know the intimate details of the Ptolemaic Model, which is just like SM a computational tool or a fit and will save what you assume. If you assume a stationary earth, Ptolemaic Model will save that, if you assume a mobile earth, it will save that too with suitable additions of “free parameters” just like in SM. If you assume the world is made of indivisible elementary particles, SM will save that view, if you assume the world is made of waves, SM will save that too. No one needs to spend 10 years to learn SM to find the answer to this fundamental question. This is wrong because the Standard Model is based on both empirical evidence for the various symmetries, and a mechanism – the exchange of field quanta depicted in the Feynman diagrams – for how fundamental interactions work, while the 19 “free parameters” are just mixing angles, masses and coupling parameters, which are extremely few in comparison to the thousands of checked and confirmed predictions as output. E.g., the predictions of the existence of the masses of the W and Z weak bosons, discovered in 1983, and many other tests. Ptolemy’s epicycles were an ad hoc model, just an empirical data fit which was revised (by the addition of more epicycles) when predictions routinely failed. So there is a big difference. The Standard Model is extremely good, but is misrepresented in a lot of popular accounts of being right just because it is the consensus theory, which of course is not what objective science is about (groupthink science is based just on fashion, popularity, consensus of opinion, etc., which is not objective). It’s curious that Feynman’s book QED (1985) points out that the Standard Model’s successes justify 2nd quantization path integrals, meaning that it doesn’t require the uncertainty principle as a postulate (1st quantization). So it’s not “quantum mechanics” ideology dogma as far as Feynman is concerned: the uncertainty principle and its indeterminancy effects, he states, comes from the mechanism of multiple path interference in the path integral, not from Heisenberg’s postulate of a “principle”. There’s a mechanism for indeterminacy, the interference between multiple paths, and it’s similar to the multipath interference mechanism that caused skywave interference in HF radio. This occurs when some radio energy is reflected back to earth by the different layers in the ionosphere, at different altitudes, so the different paths taken were received out of phase, causing the received signal to suffer from self-interference. The exchange of quanta is behind the Coulomb field binding electrons to nuclei, and since this is a discrete interaction, the electron’s motion on small scales is non-classical and indeterministic. All the textbooks ignore Feynman’s book, however, and just focus on the mathematics, not the mechanism. This causes the misunderstanding whereby most people (including most high energy theorists) think of it as a mathematical theory, not an simple explanation where there are a few symmetries (conservation principles) and the exchange of vector bosons between charges. By including gravitation correctly as a gauge symmetry in the Standard Model, it may be possible to predict masses since mass is the natural unit for the “charge” of quantum gravity. It’s the fashionable preoccupation with string theory which has drawn mainstream attention away from efforts to find a simple and useful way to put gravity into the Standard Model as a gauge theory, since the arguments for this rely on a spin-2 graviton (the basis of string theory arguments) which is based on the rank-2 general relativity field tensors. It doesn’t seem to be a strong scientific fact, bearing in mind that general relativity is not a quantum theory, and you can describe gravity using rank-1 vector field equations like Poisson’s equation, with a relativistic metric to correct for spacetime contraction. String theorists who shout “crackpot” at alternative ideas may eventually look ironic and arrogant. You confirm what I said: both models are fits, it cannot be otherwise. The methodology is the same because there is only one method used in observations: Compare observations to model and get the error (residuals) and modify the model to reduces errors. Repeat the process. If you know any other method used in observational astronomy or physics, let me know. Both models use this method to fit model to observations. They are both fits. Therefore, for a non-physicist, what is relevant is the initial assumptions physicists make, not the details of their computations. Yes , initial assumptions in devising a model is very important. Our physics has grown on Newtons law of universal gravitation on isotropic model and Einstein revised the gravity concept with space-time convolution wrap on isotropic universe without the knowledge of dark energy and the effect on structure of universe as well as atom. . Einstein further assumed limiting speed to light speed in vacuum which is questionable. There after Bohr and others struggled with atomic model and quantum physics based on probablity and uncertainty . . Are we sure about these concepts and the standard model. Durgadas Datta published papers on these concepts in year 2002 and requested all great minds doing research now to discuss and deliver a new physics with the results from CERN and accordingly revise all concepts of Newton,Einstein, Bohr and others so that the darkness of dark energy and dark matter is understandable with the recent observation in cosmology and as discussed by Durgadas Datta long back in year 2002 in his first publication–Misjudgements by Newton and Einstein. in ASTRONOMY.NET..
.To cormac: Apologies for my academic faux-pas. But if two physicists cannot agree if waves are waves, this reveals that physics is casuistry not science. By the way, my question, has nothing to do with wave-particle duality. The way I understand it there is no wave-particle duality, there are only waves that appear to behave like particles. If this is true, there is no duality here. But you refuse to clarify if this is true or not. Can I answer please? A “wave” is just a a periodic oscillation. Every particle’s path has an oscillating phase or “wave amplitude” which is exp(iS), S being “action” (the particle energy multiplied by the time taken, or more precisely, the integral of the Lagrangian) in Planck units. Since exp(iS) = cos S + i sin S, it follows the wave amplitude is periodic oscillating function of the distance the particle goes on a path between emission and absorption (i.e. the time taken). If it is possible for it to go several different ways (e.g. if two slits exist in a screen), there’s a separate wave amplitude for each possible path, and you add them up (path integral). The result maximises contributions from paths of least action (or least time, if the energy is constant). Feynman explains how this explains all wave-particle duality issues in his 1985 book QED, e.g. the double slit experiment, so the wave-type nature is light is due to multipath interference of periodically oscillating amplitudes from each path. Note that the path integral always gives real (not complex) results for cross-sections and probabilities, so the “resultant arrow” on an Argand diagram (the sum over histories that Feynman draws in many illustrations in his QED 1985 book) is always parallel to the real axis, with no complex component (Feynman’s diagrams don’t make this detail crystal clear). This means that you don’t really need exp(iS) for the phase amplitude, at least mathematically. You can drop i sin S from Euler’s equation and just replace it by cos S in all path integral calculations. It makes absolutely no difference in all real-world checked calculations whether you you complex space (an Argand diagram with one axis in units of i) or whether the phase amplitude rotates in the real Euclidean space plane. It turns out that the only reason why exp(iS) is dogma instead of cos S, is that Weyl’s first attempt to quantize gravity in 1918 tried to scale the metric in proportion to exp(iX) where X is a function of the electromagnetic field. Einstein debunked it, but Schroedinger loved the idea and in 1922 scaled the periodic real solutions to exp(iN) to represent Bohr’s discrete energy levels for an electron in a hydrogen atom (with all unobserved energy levels conveniently located in the complex plane!). (Ref: Schroedinger, “On a remarkable property of the quantum-orbits of a single electron”, Zeitschrift f. Physik v12, 1922, p13). After Heisenberg’s matrix mechanics, Schroedinger then reformulated the idea as his “wave equation”, since i dY/dt = HY has the solution: Y is proportional to exp(iHt), knowing from basic math that exponential solutions always exist for equations of the form dY/dt = Y. Dirac then converted Schroedinger’s equation back into exp(iHt) in 1933, and in 1948 Feynman reinterpreted it correctly as applying to each possible path (not just to the a single path or a classical path) so that different paths interfere to produce wave effects. So exp(iHt) or its more general form exp(iS) is really a relic of 1st quantization and Weyl. It’s not needed anymore. We can replace it with cos S if we forget 1st quantization (Schoedinger’s single wave amplitude equation) and go for path integrals instead. Quantization occurs due to multipath interferences, not complex space, which was just a stopgap idea dating back to Weyl and Schoedinger 1922. There is no effect on a path integral’s mathematical results whatsoever: it’s still a real cross-section or probability in all checked experiments. The electron’s discrete energy levels occur because “non-permitted” orbits don’t have paths of minimal action and so are eliminated by multipath interference. In QFT, the integral of exp(iS) over all paths can be replaced with the integral of cos S, which has no effect except from eliminating Hilbert space and with it all the problems of Haag’s theorem for renormalization. What is the justification for assuming that these paths are left by particles and not by waves? There’s a nice Feynman lecture video on you tube which gives the proof you need: http://www.youtube.com/watch?v=_7OEzyEfzgg Waves spread out and lose energy as they do so. Particles like photons of light don’t lose energy as they travel. The height of a water wave from a pebble dropped in a pond decreases as it spreads out, but the energy of a photon stays the same as it moves outwards from a lamp. Gravitoetherton soup or we call dark energy is the medium of transmission of energy in different elementary particle in the form of oscillating blob . 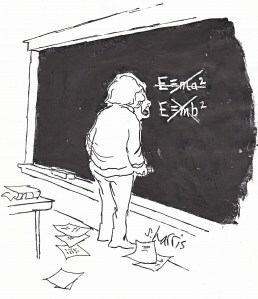 Einstein rejected ether to establish his photon particle idea but ether is dark energy. ALL ELEMENTARY PARTICLES ARE BASICALLY WAVICLE TRANSMITTED IN ETHER SIMILAR TO SOUND TRANSMISSION IN PRINCIPLE. Let us not go by multi orbital electrons in atom structure but read new atomic model prescribed by me. Hey, have you guys ever heard of Alfred Korzybski? He said “The Map is not the Territory” and “Whatever you say a thing *is*, well, it *is not*!”. The point being that people can argue ad infinitum whether something *is* a particle or a wave or a wotnot. But we can talk about models and abstractions and whether these models are useful (make predictions). But we cannot say what a thing is. Cos what we say are words, and that stuff out there ain’t. Try this thought experiment. Pick a word, say “particle”, and write down a definition. Then go through the words you’ve used in your definition, and define those, and continue, and pretty soon you’ll be using the same words in circular defintions, and we come to what we call the unspeakable level, we kinda know, but we cannot say. tl,dr: models are limited and break down. PF: Think about a definition as a relation, relating two words; there are no circular definition. Particle refers to a spherical ball with a finite radius and wave refers to something else with properties of waves. Waves do not have radii and they are not spherical balls. Physicists corrupted both words and use them interchangeably. Can we think of spherical blobs of energy films with dark energy inside and outside vibrating spherically with the ideas of string theory on polar coordinates to devise a model taking time not dimension but entropical etc etc as suggested by Durgadas Datta. My idea is that the wave function collapse, is misinterpreted as a particle. The original standard model predicted that there is no mass. 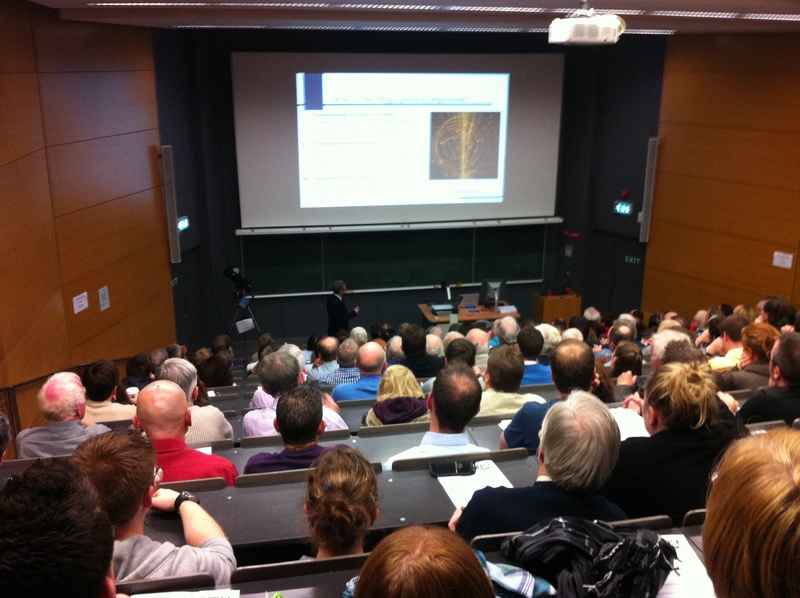 Peter Higgs explained mass mathematically through what later became the Higgs Boson. The Higgs Boson was found this summer, but it is still uncertain, whether it has the properties necessary to confirm the standard model fully, and even if it does, then it still does not fit into relativity. I have a theory that could explain a lot of mysteries, but definitely not them all. The basis of my theory is to assume the nucleus of the atom as a standing wave, and assume that mass does not exist. Then energy would flow from minus energy (antimatter) to plus energy (matter.) The antimatter existing in parallel universes, therefore no annihilation. The end result would be an average of zero energy. The universe is a hologram of electromagnetism (waves) flowing from plus energy to minus energy in space and time. Read theories of Durgadas Datta. Durgadas Datta publishing many theories from year 2001 in ASTRONOMY.NET and other publications and regularly sending the papers to various scientists . The papers–Misjudgements by Newton and Einstein, ether=gravity=dark energy of gravitoethertons , BALLOON INSIDE BALLOON THEORY ….etc etc are now being discussed by new generation oh scientists who think that we have to come out from old physics of Newton and Einstein. The new atomic model of Durgadas Datta where he said balloon negative charge electron film having another positive charge film of proton with neutron at common is the new model where there is no requirement of strong and weak force. Then again in his balloon inside balloon theory of matter and antimatter universe on opposite entropy PATH producing gravitoethertons which we call dark energy also by annihilation at common boundary and injected into our universe for gravity,accelerating expansion etc . Read the theories of DURGADAS DATTA published in year 2001,2002 ,2003 …. and try to develop a new physics before going further with the new particle at CERN which is nothing but gravitoethertons. Our new group of scientists are talking the same theory described by Durgadas Datta long back and we are sure our problems is now getting resolved with the developments of new physics beyond Newton,Einstein,Bohr and others. I am presented for many different theories, and have to put priority into which I study and which I don’t. Yours has a lot of similarities to mine in discarding strong and weak force, and somehow, as me, saying that there is no particles. Everything is electromagnetic in some way, and then we have gravity being unexplained. One thing that I would like a straight answer from you is this: Where is the antimatter in your theory?????? Why doesn’t the antimatter you do describe annihilate???? with the rest of the universe??. I do not see any parallel universes in your theory. Do you believe in them??? In my balloon inside balloon theory of matter and antimatter universe on opposite entropy path produalloon cing gravitoethertons at common boundary and injected into our universe as dark energy was highly acclaimed and published in year 2002 . Soon afterwards new atomic model theory was published where weak and strong nuclear forces were abolished by again a balloon inside balloon of negative charge and positive charge with neutron at common center was published and it was also seen that gravity and electromagnetism can be explained by mono magnetic coupling of gravitoethertons . You are try to say in similar way but not exactly what I said in my different theories. Gravity can be explained by mono magnetic coupling of gravitoethertons and the papers are sent to various conferences and scientists for study further. I understand NASA and CERN also thinking in the same line in interpretation of new particle and new physics and the new particle is not Higgs Boson but Gravitoetherton etc etc. Is there any atomic model of anti matter? I am interested to know about it. You can speed the process by using a homegrown, Photovoltaic Windows, clean energy. Gross profit increased in the fourth quarter of 2011 compared to last year’s fourth quarter. Pear shaped atoms also indicates non existence of strong and weak forces as predicted by Durgadas Datta in his model in year 2002. The dark energy inside and outside holds the clue in polar coordinates analysis. This is the new album Another Country, a collaboration with Italian-born stringist Fabrizio Sotti. They are often poor at non-verbal communication. I’d like to follow anything new you have to post. Would you post a list of the complete urls of your social pages like your linkedin profile, Facebook page or twitter feed? Asking questions are genuinely good thing if you are not understanding anything fully, however this article presents nice understanding yet. 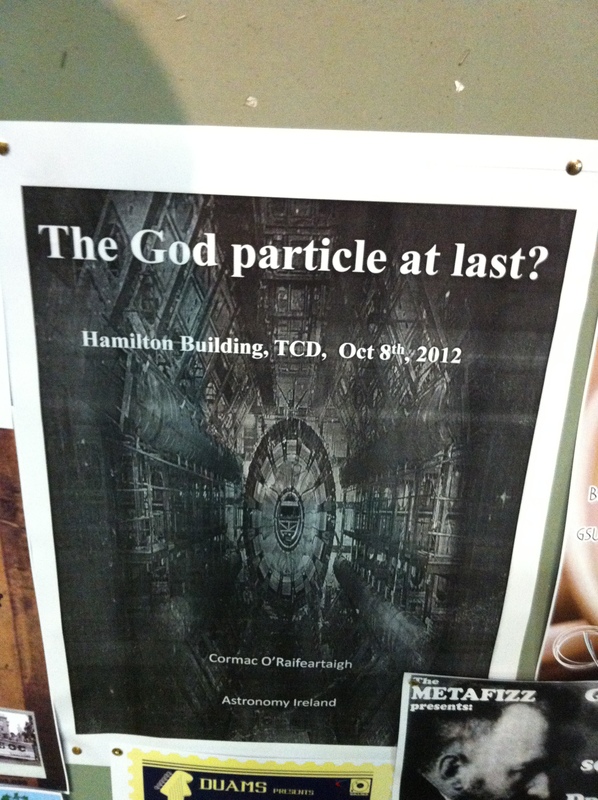 I seldom drop responses, but i did some searching and wound up here The God particle at Trinity College | Antimatter. by brain dead individuals? :-P And, if you are posting at additional online social sites, I’d like to keep up with anything fresh you have to post. Could you make a list of every one of your communal sites like your linkedin profile, Facebook page or twitter feed?